At Cycle Connect, when selecting our assets, we only choose tools that will help farmers increase income through added efficiencies. By testing every product to measure its impact, we can assess whether it will be a worthwhile investment for a farmer. Our first product was a bicycle. With a bicycle, a farmer could carry more to the market, save money on transport and go farther than ever before. Cycle Connect client, Adiyo Lilly, is one of many who has experienced how transformational a bicycle can be in farming. Lilly took a bicycle loan from Cycle Connect in 2016. She used the bicycle to fetch water, transport crops from the field, and to sell charcoal in town. After Lilly finished paying off her bicycle loan, she learned that she could also invest in oxen & plow from Cycle Connect. 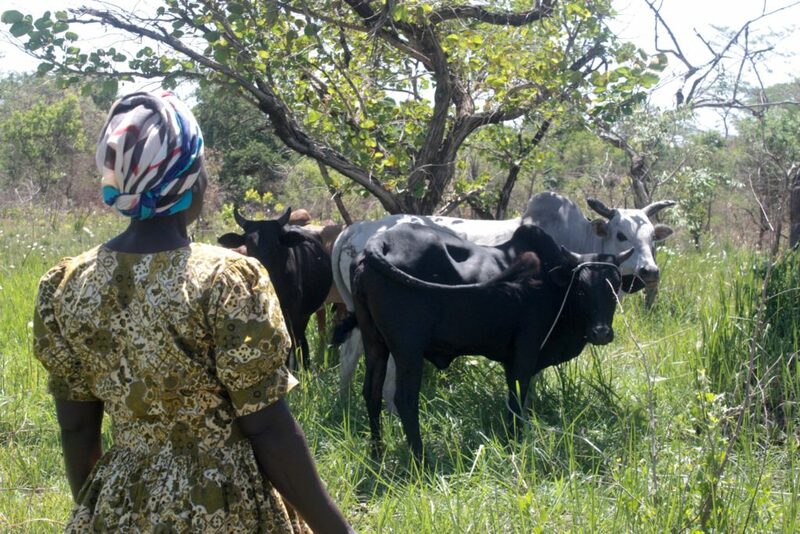 Lilly and her husband, Odong Severino, have 50 acres of land in Arut Central village in northern Uganda. 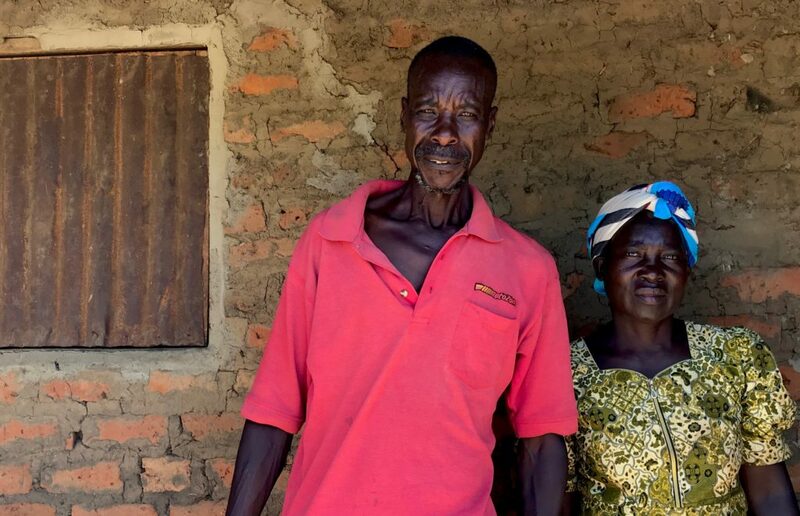 After hearing about the opportunity from his wife, Severino decided to apply for an oxen loan from Cycle Connect. Severino was approved for the loan and received a pair of oxen and plow. Before owning oxen, Severino and Lilly were only utilizing four out of their fifty acres of land. To plow by hand can take from seventeen to twenty days for half an acre. With oxen, Severino can plow one acre in two days. 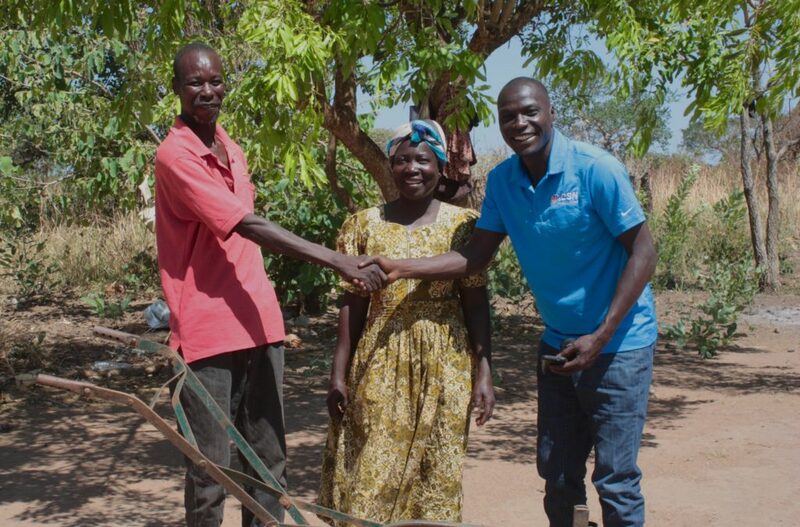 Cycle Connect loan officer shakes hands with Odong Severino as he stands with his wife, Adiyo Lilly, and the plow they received from Cycle Connect. The oxen equipped them to more than double the amount of land they could plow, from four acres to ten acres. This increase allowed Severino and Lilly to double their harvest and increase their income. 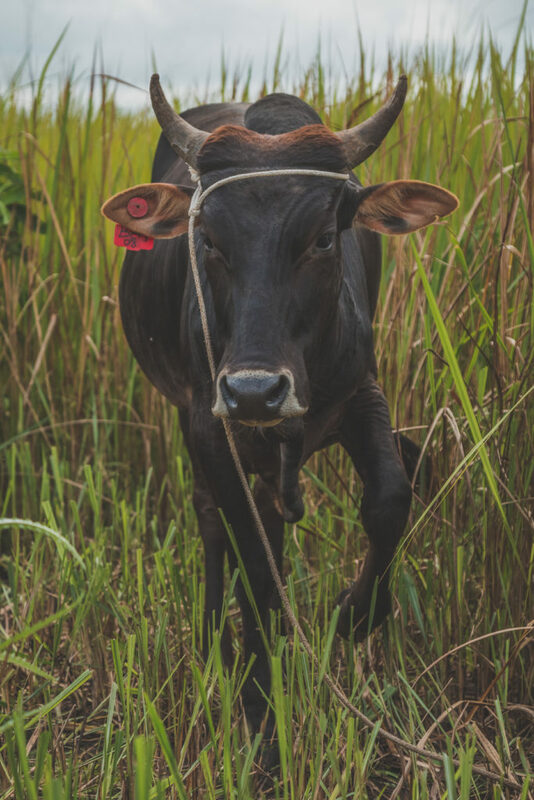 In addition to helping them increase their acreage, they are also able to rent the oxen out to community members for an annual profit of $585. Now that Severino has paid off his loan, his wife Lilly is applying for a second oxen and plow loan. She plans to use the oxen solely for renting. When asked what they like about Cycle Connect, Lilly and Severino said that they are grateful that Cycle Connect is a company that provides farmers access to loans and that our interest is more inclusive than that of traditional financial institutions. They said that Cycle Connect’s program has been so helpful to their family and it is the reason why they are in a position to grow in terms of income. At Cycle Connect, we are constantly testing new products to offer our clients that will help them and their families increase income. We believe that as we grow, our clients grow.